Today saw high-level talks between Thai and Cambodian military leaders following a border skirmish yesterday which left two Cambodian soldiers dead, injuries on both sides, and ten Thai troops captured. Several hours of talks have led to an agreement for joint military patrols along the disputed border. Over a thousand soldiers from Cambodia and Thailand mass near Preah Vihear Temple, the focus of a military standoff over a disputed border started on July 15, 2008, after Cambodian authorities arrested three Thai nationals who had crossed the closed border in an effort to plant the Thai flag on the temple grounds. Several dozen Thai soldiers were reported to have subsequently crossed the border. Thailand maintains its troops are deployed to protect its sovereignty and ensure that any protests by Thais near the temple remain orderly, although a senior Thai military official acknowledged that the troops were on “disputed” ground. 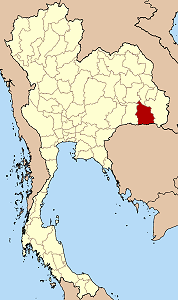 On July 18, 2008, the Thai government handed Cambodia a letter from Prime Minister Samak Sundaravej insisting Thai troops are deployed on Thai soil. In a letter to Hun Sen, the Thai PM said Cambodian troops and buildings on the disputed 4.6 km² (1.8 sq mi) area were a “violation of Thailand’s sovereignty and territorial integrity”, but that his government was “resolved to seek a just and peaceful solution to the situation”.